Built in 1996 this delightful self catering holiday cottage in Broad Haven, Pembrokeshire, is situated in a small, quiet development with safe, secure rear garden and off road parking for two cars. It is the ideal base from which to explore the stunning National Coastal Path and neighbouring villages of Solva, Dale, Porthgain and the City of St Davids. This cottage is situated just 2 minutes from the beach. Kitchen: Equipped to a very good standard includes oven, hob, extractor fan, microwave, fridge/freezer, dish washer and washing machine. There is a comprehensive range of kitchen equipment. Dining area: The dining area has a table that will seat up to 8 people plus a 4 seater breakfast table. (Highchair available). Conservatory lounge: Cane furniture to seat 7 people. There is also a trunk full of children's toys. Lounge: Is comfortable with a 2 large sofas, 2 child lounge chairs, wifi and TV/DVD. Bedrooms: Bedroom 1:1 x double bed, bedroom 2: twin beds and bedroom 3: 1 x bunk beds. (Travel cot provided but please bring own cot bedding). 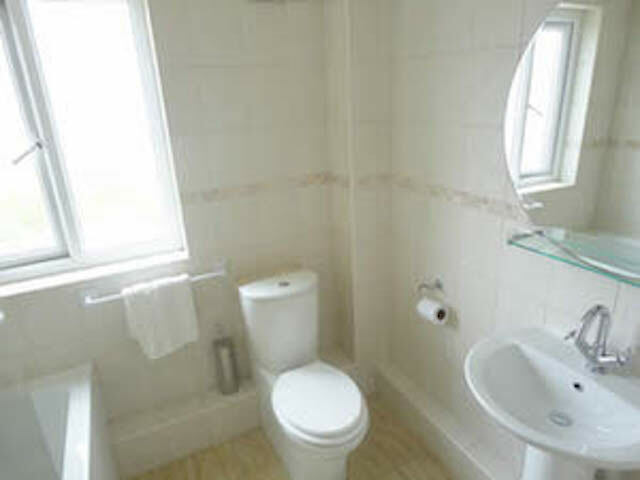 Bathroom: There is a bath with a shower over the bath, mirror and shaving point. There is a wall mounted fan heater and extractor fan. Outside there is secure rear garden with outdoor table and chairs where you can watch the kids play whilst enjoying a glass of your favourite wine!! This was our 3rd or 4th break with Stay in the Havens, and Karen has been brilliant every time. Thank you, Karen. We had a wonderful time and the weather was kind to us. The location and views from the house are amazing. Having visited Broad haven over 30 times, this occasion was the first at 26 Wilson Meadow and a 'Stay at the Havens' property. The property couldn’t have been better located and was like a home from home. The house was clean, well presented and really well equipment with everything you need and more. Communication with the team was quick and easy and very helpful. We will be back!!! Our 4th Stay in Broad Haven all with Stay in the Havens first time at 26 Wilson Meadow. Another fabulous property have never been disappointed. Karen and her team go the extra mile to ensure you have a wonderful holiday in a beautiful location. We all had a wonderful stay at 26 Wilson meadow. The views of the sea from the conservatory and double bedroom were beautiful, and truthfully a 2 min walk to the beach. When the tides out, the walk into little haven is a must. By our 4th day, I'd already guaranteed our next holiday for next year. Beautiful well looked after house. Another fantastic week in 26 Wilson Meadow. The house was spotless, and as well equipped as we remembered, everything you could need is there. The new upstairs bathroom is lovely. Great communication from Karen, it's so easy to book with Stay in the Havens, why book with anyone else?! I have been coming to Broadhaven for as many years as I care to remember. In a majority of those years, I have booked through statyinthehavens. The site is easy to use, booking simple and very reliable. The holiday homes have always been described accurately and any small problems dealt with immediately. Wales is beautiful especially that little corner known as Broadhaven. This is why I continue to come and why I hope to be able to do so for many many more years with my family and friends. X. Keep up the brilliant work Karen. Yet another fantastic week at 26 Wilson Meadow, well equipped, spotlessly clean and so spacious. We have booked again for 2019. ‘Stay in the Havens' has always given us great service and were so helpful when we had a change in circumstances with our 4 legged family member, I wouldn’t book a holiday with anyone else. We had a great stay as usual. The house fitted all our needs and it was great to have some sunshine for a change 😊. We have already booked the same house for next year as it seems to be a popular choice. A fantastic location and a lovely spacious home and garden. 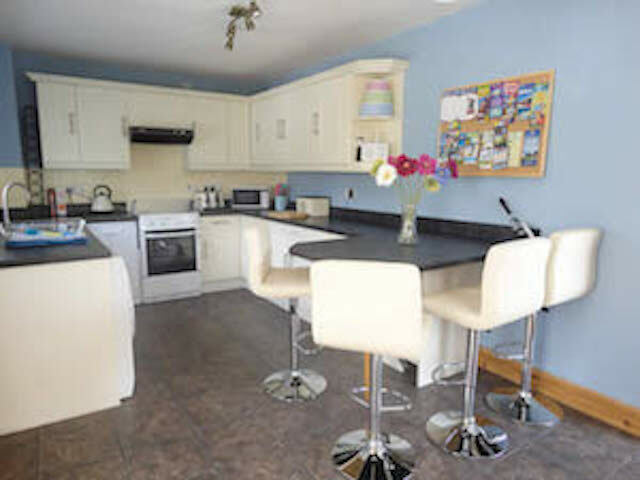 The house was well equipped and is particularly suitable for young families. We will definitely visit again. We had a lovely time thanks. The house is in a great location with an amazing view from the conservatory. We loved how well equipped it was, lots of books and games to choose from and really good WiFi! We were really lucky with the weather and enjoyed a sunny coastal walk and spending time on the beach. The pub and cafe along the front were very friendly with good food too. Will definitely come back to Broad Haven. We really enjoyed our stay at no 26. The views from the conservatory are fabulous and during the day time it is a very warm spot. The ground floor wet-room is great for a post-surfing shower. The kitchen was well equipped and the whole house was clean and comfortable. In fact, we enjoyed our stay so much that we would have loved to return in the summer but find that this property is fully booked! We had another lovely stay. The cottage is everything we need... especially the lovely conservatory, and the addition of the wet room. Booking etc is so easy. We look forward to coming back, in the Spring. We really enjoyed our stay thanks - the house was in a great location, Joey (the dog) loved being so close to the beach and the conservatory was a great area to relax in when it wasn't quite warm enough to enjoy sitting in the garden. The house was fantastic, with everything you could possibly need for a holiday, with great views of the beach. The conservatory was the perfect place for breakfast overlooking the sea and deciding what to do with the day, the wet room was a real advantage and the garden was perfect for the dog. With easy access to the beach and local amenities, it made for a perfect holiday. Would book again and recommend to anyone. Also, thank you, Karen, for the help with my daughter's concert tickets! Another wonderful week staying at number 26 Wilson Meadow! 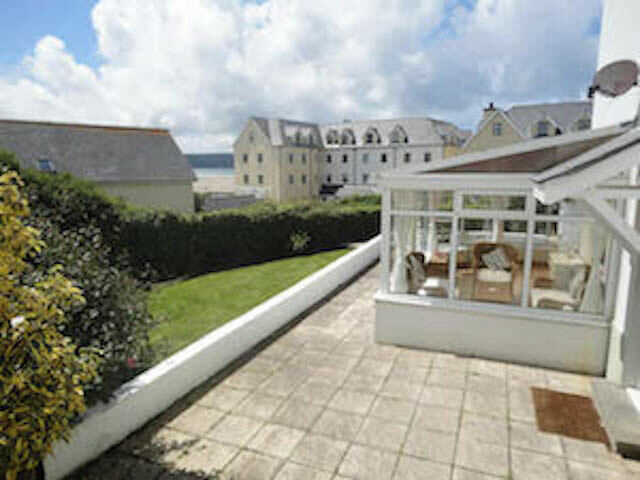 Fantastic accommodation , well equipped and wonderful views onto the sea! We have already booked for 2018! We enjoyed the sea view from the conservatory and garden. Lots of space to spread out and the large garden was great for BBQ's. We appreciated the extra shower room. 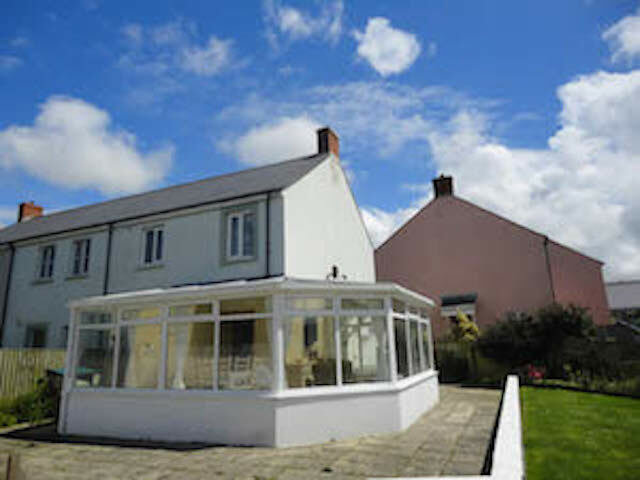 Staying in Broad Haven is truely delightful, which we have done on several occasions. The location is great for relaxing, dog walking along the beach and the people are friendly. It has been a pleasure to stay in accommodation which is always welcoming, comfortable and clean, including value for money. We had a great week in Broad Haven renting through stayinthehavens.com. The houses were very clean and well-appointed and the company responded quickly and effectively to a couple of requests we made. 26 Wilson Meadow was a great place to stay and was very well equipped. sea view. We will definitely be back. Just to say - we really enjoyed our stay at 26 Wilson Meadow, the house is lovely, especially the conservatory. I would have written in the guest book but had lost my pen. Hopefully, we will be able to book again next year as we find Broad Haven an excellent base for Mark's Pembrokeshire Challenge Event (3 marathon's in 3 days) for which the HQ is in St David's and the house was ideal for our stay. Lovely clean homely house with lovely touches. loved the conservatory. Lovely for our afternoon cuppa. Just looking over at the lovely view of sea and sand. I guess you could say we've really (loved) it! Fantastic house. 7th time in Broad Haven and best house so far. Great views, great garden, a great family house. Fantastic time in Broad Haven - sun, sea and sand. Great company with the Cordeners. The accommodation was just what we needed and sea views. Great games for our 2 rainy days. We will be back!! Wonderful cottage. Lots of extras to entertain the boys. Their own toys were hardly touched! Wonderful week. House and weather fantastic. Thank you, Karen and team. I feel like I'm at home - such a well equipped house for kids - from the bath toys to the Calpol spoon in the drawer! A great place to stay and we have at last found a holiday home which is 'Lucy-proof'!! Thank you. Think mummy enjoyed the train set a lot! Second time to the house and had a great time again. Endless toys and perfect garden for kids etc. We'll be back. We really enjoyed our stay here. Its a very well kept comfortable place - would definitely recommend it to our friends and family. Thank you! Perfect house for viewing the Pembrokeshire coastline. Perfect house for a perfect holiday! Looking forward to our next visit already x. Wonderful house, fantastic location - l lovely time. Great location - well looked after place. Many thanks indeed! Great location, fab views and loved the beach. Otters at Stackpole and seals at Strumble. Thanks.